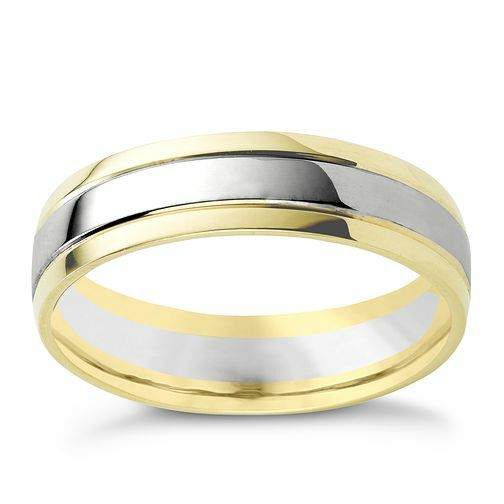 This groom's wedding band combines versatile yellow and white gold and has a width of 6mm. 9ct two-colour gold wedding ring is rated 1.0 out of 5 by 1. Rated 1 out of 5 by Anonymous from Very thin ring Nice looking until you get a jewellery loupe onto it, and it arrived with small scratches on it, and inside the ring looks like small patches of black! The edges feel quite sharp when putting it on and taking it off.